A little late on this one but better late than never. 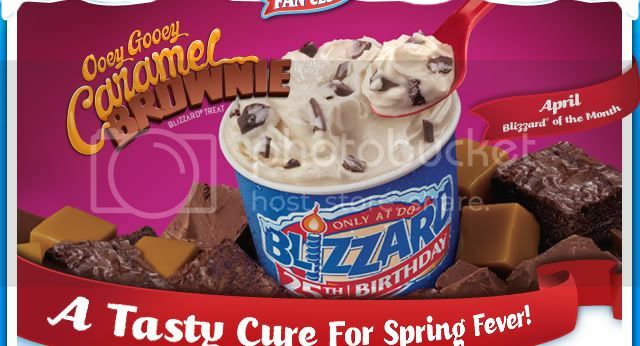 The Dairy Queen Blizzard of the Month for April 2010 is the Ooey Gooey Caramel Brownie Blizzard. 570 calories and 21 grams of fat for a small. I’m not ordering it if I have to say the entire name out loud.